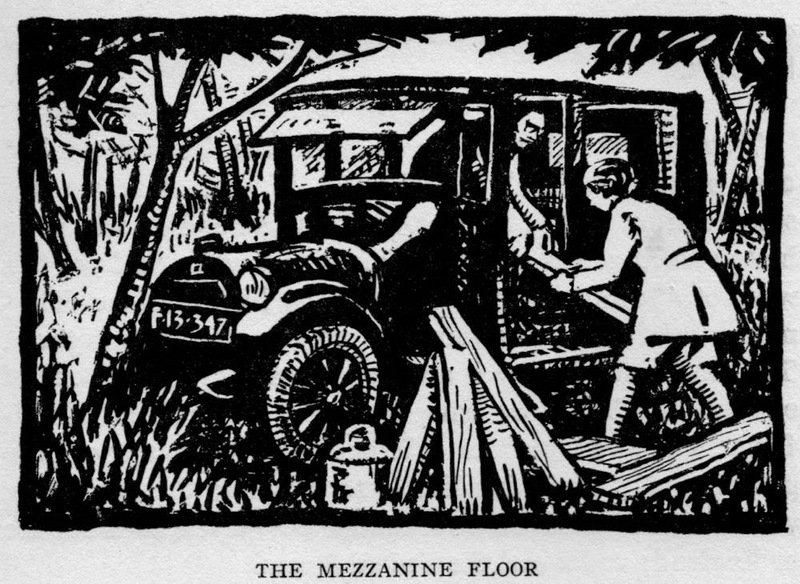 Jan and Cora Gordon: "Wanderings and Flight in the Land of Mud"
In their introduction to the 1939 Penguin edition of their 1916 book "The Luck of Thirteen", Jan and Cora Gordon explain how the title of the book was changed, at the publisher's insistence, from their preferred "Wanderings and Flight in the Land of Mud" to "The Luck of Thirteen". The 1939 title of "Two Vagabonds in Serbia and Montenegro" was used to "bring it into line with our later books." They wrote "On the Great Flight we, being still young and inexperienced, were perhaps too obsessed by the responsibility of getting the men of military age out of the country to avoid internment." As a result they "committed the indiscretion of leaving the main line of retreat, of discovering our own way between the retreating armies across to the coast and of arriving back in England some three or four weeks ahead of everybody else." 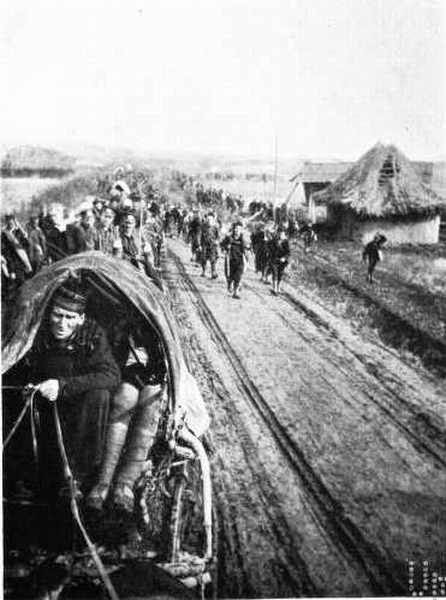 The "Great Flight", Serbia 1915, from "The Luck of Thirteen." The story of how the book came to be accepted for publication, following on from a two-column account for The Times and some short studies for The New Witness, is told in "The London Roundabout". Publisher Reginald Smith had been impressed by Cora Josephine's hat, which they explained was "made out of a white Albanian saucerlike fez" bought in Plevlie with a handkerchief twisted around it from the Bazar at Scutari "both held together by the large silver brooch which Nikola Pavlovitch, ex-brigand and comitaj, had helped us to buy at Ipek." The Gordons wrote the book in a hurry, completing it in a fortnight. "We divided the diary into twenty-four parts and started off writing alternate chapters, Jo correcting Jan's, Jan correcting Jo's." 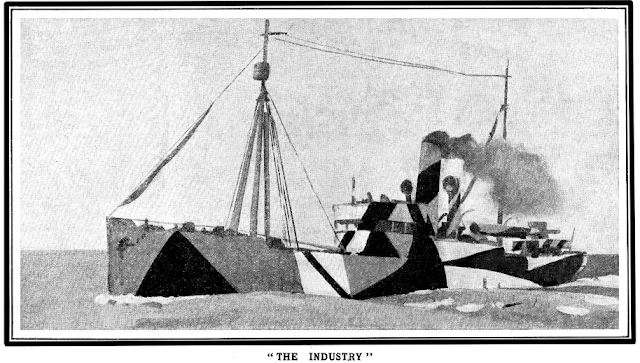 "Day by day, as the material was finished, we sent it to the printers." When they became convinced, about half way through, that their writing had improved and asked for the earlier chapters back for revision they were told, "You can't have them. They are already set up. And if you start meddling with what you have done you will only spoil it." Rereading their material for the 1939 edition they came "to agree with Mr. Reginald Smith's first expressed opinion: we do admire our cheek."